BITS Pilani Hyderabad Recruitment 2019: BITS Pilani, Hyderabad Campus / www.bits-pilani.ac.in is conducting recruitment processes to fill 3 vacancies. As of now, there are three recruitment drives going on for JRF Post, Junior/ Senior Research Fellow Post and others. 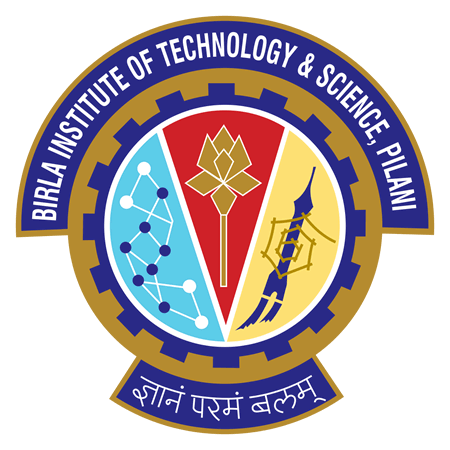 BITS Pilani Hyderabad Recruitment 2019 - Job notification for JRF Post on a project entitled "3D printing of graphene nanocomposites for energy storage applications" in Department of Mechanical Engineering, BITS Pilani Hyderabad, Pilani, Hyderabad. Applications are invited by BITS Pilani, Hyderabad Campus on or before 10 May 2019 for 1 vacancy. BITS Pilani Hyderabad Recruitment 2019 - Job notification for Junior/ Senior Research Fellow Post on a project entitled "Experimental Investigation on an Energy Efficient Regenerative Thermal Management Technique for Hybrid Electric Vehicles" in Department of Mechanical Engineering, BITS Pilani Hyderabad, Telangana. Applications are invited by BITS Pilani, Hyderabad Campus on or before 30 Apr 2019 for 1 vacancy. BITS Pilani Hyderabad Recruitment 2019 - Job notification for Research Assistant Post on a project entitled “Financial Inclusion through Urban Cooperative Banks: An Exploratory Study of Telangana State” in Department of Economics and Finance, BITS Pilani Hyderabad, Telangana on Contract Basis. Applications are invited by BITS Pilani, Hyderabad Campus on or before 25 Apr 2019 for 1 vacancy. BITS Pilani Hyderabad Recruitment 2019 - Job notification for Research Fellows Post in BITS Pilani Hyderabad, Hyderabad, Telangana. Applications are invited by BITS Pilani, Hyderabad Campus on or before 31 Mar 2019 for 18 vacancies. BITS Pilani Hyderabad Recruitment 2019 - Job notification for JRF/ SRF Post on a project entitled "In search of unsymmetrically substituted anthracenyl π-conjugates as tunable mechanofluorochromic small molecules” in Department of Chemistry, BITS Pilani Hyderabad, Hyderabad, Telangana. Applications are invited by BITS Pilani, Hyderabad Campus on or before 15 Apr 2019 for 1 vacancy. BITS Pilani Hyderabad Recruitment 2019 - Job notification for JRF Post on a project entitled “Epigenetics of Endothelial Dysfunction During Cardiovascular Disease” in BITS Pilani Hyderabad, Pilani, Rajasthan. Applications are invited by BITS Pilani, Hyderabad Campus on or before 31 Mar 2019 for 1 vacancy. BITS Pilani Hyderabad Recruitment 2019 - Job notification for JRF Post on a project entitled "Elucidating the role of long non-coding RNAs (IncRNAs) in neuronal cell death during Japanese Encephalitis (JE).” in BITS Pilani Hyderabad, Telangana. Applications are invited by BITS Pilani, Hyderabad Campus on or before 23 Mar 2019 for 1 vacancy. BITS Pilani Hyderabad Recruitment 2019 - Job notification for JRF Post on a project entitled "Zn Air Battery" in BITS Pilani Hyderabad, Pilani and Hyderabad., Rajasthan. Applications are invited by BITS Pilani, Hyderabad Campus on or before 20 Mar 2019 for 1 vacancy. BITS Pilani Hyderabad Recruitment 2019 - Apply Online for Research Staff (Research Associate) Post on a project entitled "Development of Real Time Multi-objective Route Recommender System Using AI" in Department of Computer Science & Information Systems, BITS Pilani Hyderabad, Pilani, Rajasthan. Online Applications are invited by BITS Pilani, Hyderabad Campus from 05 Mar 2019 to 20 Mar 2019 for 1 vacancy. BITS Pilani Hyderabad Recruitment 2019 - Job notification for JRF Post on a project entitled "Zn Air Battery" in BITS Pilani Hyderabad, Pilani and Hyderabad.. Applications are invited by BITS Pilani, Hyderabad Campus on or before 20 Mar 2019 for 2 vacancies.